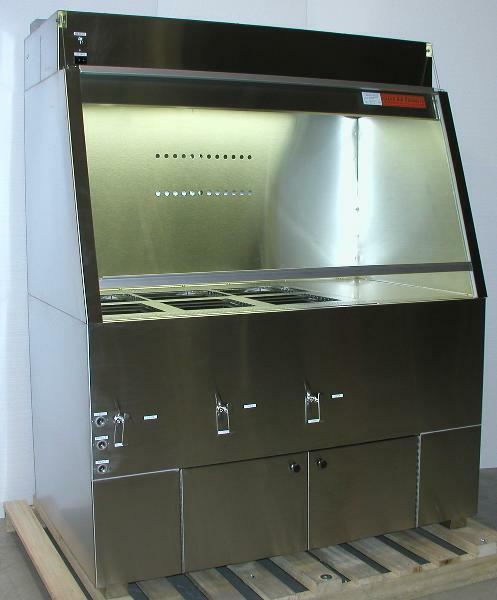 Clean Air Products’ complete line of fume hoods and wet process stations are designed specifically to meet the needs of semiconductor manufacturing operations. With over 20 years of design, manufacturing and service experience, Clean Air Products can supply the complete package tailored to your requirements. Units are available in 3, 4, 5, 6, and 8 ft. widths and 30, 36, and 42 in. depths. Other sizes are available upon request.